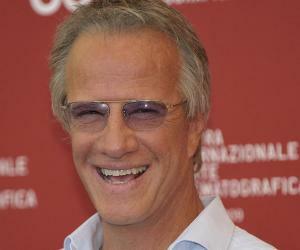 Christopher Lambert is a well-known American-born French actor. Check out this biography to know about his birthday, childhood, family life, achievements and fun facts about him. 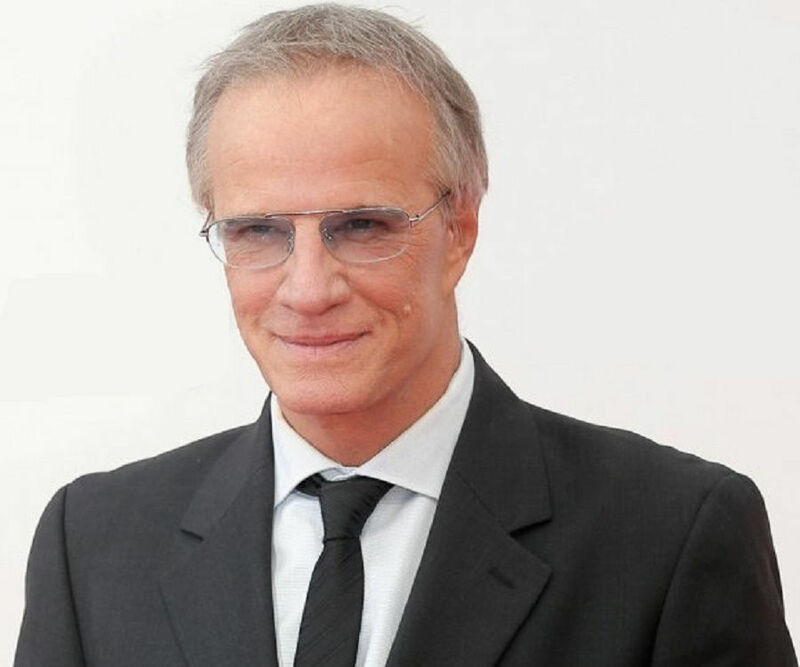 Christopher Lambert is a famous American-born French actor who has appeared in numerous French, American, and other international productions. He is best recognized for his role as Tarzan in the British adventure film ‘Greystoke: The Legend of Tarzan, Lord of the Apes’ and as Lord Raiden in the first screen adaptation of the video game ‘Mortal Kombat.’ He is also famous for his portrayal of Connor MacLeod in the 1986 adventure-fantasy flick ‘Highlander’ and its sequels. Although born in the USA, Lambert is French. His father was a French diplomat serving in the USA at the time of Lambert’s birth. His formative years were spent in Switzerland, where his family had moved to when Lambert was two, before relocating to Paris later. 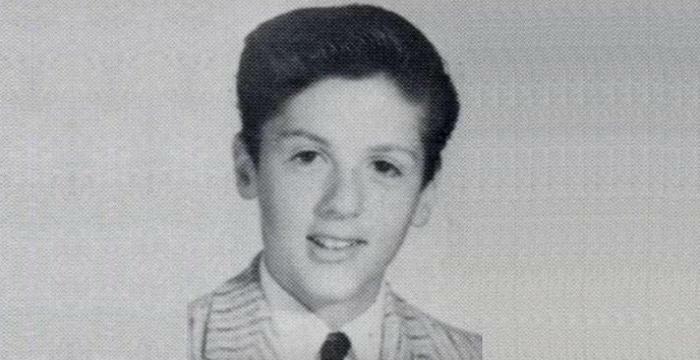 Interested in acting from a young age, he began his career playing minor roles in several French films. He bagged his first leading role in the British film ‘Greystoke: The Legend of Tarzan, Lord of the Apes’ which successfully established him as an actor to reckon with in the European film industry. The movie was a major hit and soon the actor was offered a variety of interesting film roles. 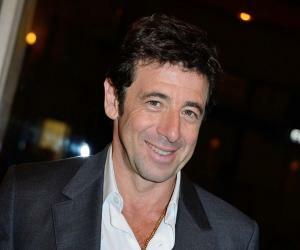 Over the ensuing years, he further built up his reputation as a character actor and is today a well-known figure not just in the European film industry but also in Hollywood. Christopher Lambert was born on 29 March 1957 in Great Neck, New York to a French diplomat father who served in the United Nations. He had an elder brother named Gilles who died in 2012. His family left the USA when Christopher was just two. Lambert was later educated at private boarding institutions in Geneva. He eventually moved to France where he attended the Paris Conservatoire for two years. In the late 1970s, Christopher Lambert began his acting career playing minor and supporting roles in numerous French movies including ‘Ciao, les mecs’, ‘Le bar du téléphone’, ‘Une sale affaire’, ‘Douchka’ and ‘Légitime violence’. In 1984, he was cast in the lead role of Tarzan in the movie ‘Greystoke: The Legend of Tarzan, Lord of the Apes’. The film became a huge hit and went on to earn three Academy Award nominations. That same year, Lambert bagged a lead role in the French flick ‘Paroles et musique’. Lambert played the lead role in Luc Besson's stylistic film ‘Subway’ in In 1985. The film was about a man being hunted in the underground subways of Paris. It was a success at the French box office and also critically acclaimed. Lambert won a César Award for Best Actor for this role. He played the lead role in the movie ‘I Love You’ in 1986. The flick was nominated for Palme d'or at the Cannes Film Festival. The same year, he also appeared in the movie ‘Highlander.’ The following year, the actor starred in the production of ‘The Sicilian’ that was based on Mario Puzo’s book of the same name. 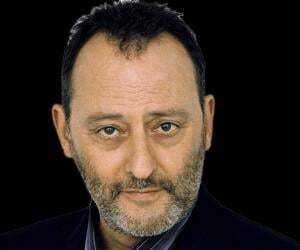 In 1988, he played the role of Father Alek in the drama film ‘To Kill a Priest’. The film was well received by critics. The same year, Lambert appeared in the romantic movie ‘Love Dream’ alongside Diane Lane. His streak of success continued throughout the 1990s. His best known films from this era include ‘Highlander III: The Sorcerer’ (1994), ‘Mortal Kombat’ (1995), ‘Nirvana’ (1997), and ‘Beowulf’ (1999). In 2000, he starred in ‘Fortress 2: Re-Entry.’ The following year, he had a lead role in the historical drama film ‘Druids’. That year, he also appeared in John Glen's ‘The Point Men’. After this, the French artiste acted in the thriller movie ‘The Piano Player’ (2002). 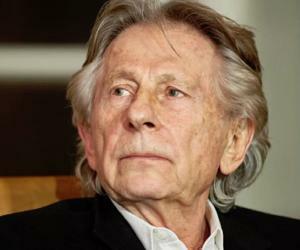 He starred in the science fiction thriller ‘Absolon’ in 2003. The same year, he played a supporting role in ‘Janis and John’. Lambert also acted in the short movie ‘Qui veut la peau de Roberto Santini’ that year. In 2004, he served as the executive producer for the movie ‘The Confessor’ which featured Christian Slater, Stephen Rea, and Molly Parker. In 2005, he got featured in the television movie biopic ‘Dalida’. 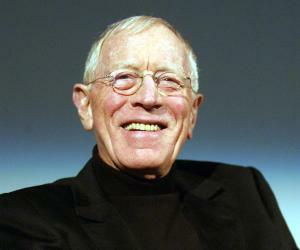 In 2006, the actor was cast in ‘Le Lièvre de Vatanen’. The same year, he had a supporting role in the drama film ‘Southland Tales’. 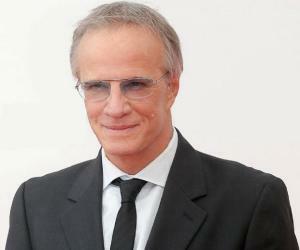 He starred in Sophie Marceau’s ‘Trivial’ in 2007. He then did Claire Denis' ‘White Material’ in 2009. That year, he also appeared in the hit movie ‘Cartagena’. A year later, Lambert was cast in ‘Das Geheimnis der Wale’ in which he played the role of an environmentalist. In 2011, he played a villainous role in ‘Ghost Rider: Spirit of Vengeance’. In 2012, he appeared in the Italian film ‘L'una e l'altra’. He played the character of Marcel Janvier in the hit crime TV drama series ‘NCIS: Los Angeles’ from 2012-13. The French actor next appeared in the American biographical movie ‘Electric Slide’ in 2014. In 2015, he co-starred in ‘Un plus une’, a French comedy flick, and also co-starred in the flick ‘10 Days in a Madhouse’. The following year, he did a cameo in ‘La folle histoire de Max et Léon’. Lambert also starred in the Russian-Portuguese TV show ‘Mata Hari’ (2017). He appeared in the film ‘Chacun sa vie et son intime conviction’ in 2017. In 2018, he played SS officer Karl Frenzel in the Russian flick ‘Sobibor’. This movie was named the Russian entry for the Best Foreign Language Film at the 91st Academy Awards. Besides owning a food processing plant and mineral water business, Lambert also produces Côtes du Rhône wines in partnership with Eric Beaumard. His label, Les Garrigues de Beaumard-Lambert, is sold mostly in Europe. Lambert is also a novelist and has written two novels: ‘La fille porte-bonheur’ (2011) and ‘Le juge’ (2015). In 1986, Christopher Lambert played Connor MacLeod in the British-American adventure action fantasy movie ‘Highlander’. Based on a story by Gregory Widen and directed by Russell Mulcahy, the movie narrates the climax of an ages-old clash between immortal warriors, portrayed through past and present-day storylines. The film ‘Highlander’ was an international box-office success and Lambert’s performance was much appreciated. The movie went on to spawn various sequels including ‘Highlander II: The Quickening’ and ‘Highlander: Endgame’. The final sequel of the movie was ‘Highlander: The Source’ that was released in 2007. Christopher Lambert was married to actress Diane Lane from 1988 until 1994. They have one daughter, Eleanor Jasmine. In 1999, Lambert got married to Jaiymse Haft. However, their union was dissolved a year later. In 2007, the actor began dating actress Sophie Marceau. The couple announced their separation in July 2014.